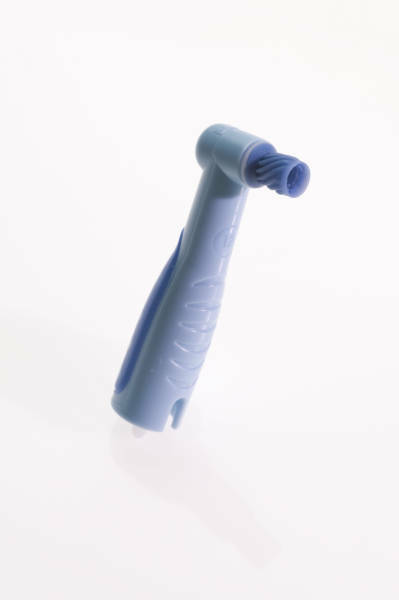 PerfectPearl prophy angles optimize intraoral access while minimizing user fatigue. TotalCare’s PerfectPearl disposable prophy angles feature unique beveled gearing and contra angle design for smooth, vibration-free operation with minimal fatigue. 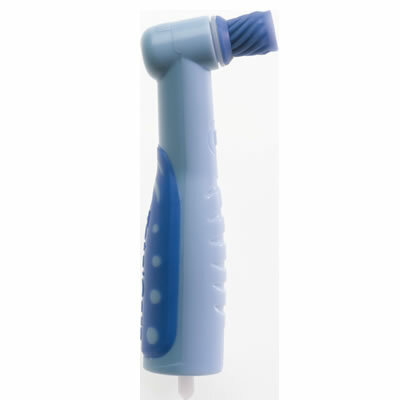 The manufacturer states that subgingival cleaning is optimized by the flare of the latex-free, soft prophy cup, and that spiral grooves help to push paste toward the tooth, reducing splatter. Stain removal is facilitated by exceptional interproximal access, and the angle’s small size enhances visibility. I tried this product as a sample and really liked it. I especially liked the ribbing on the outside of the cup. I felt like it helped clean along the gumline and interproximal areas better than a smooth cup. It seemed about the same as other prophy angles as far as performance. Smooth running, held the paste well. This polisher is a keeper. You will like it's power & ease of use. Not a bad price either. My hygienist and I have gone through several disposable prop hy angles in the past with little to no satisfaction.When we decided to try PerfectPearl, we had noticed a better oral accessability and vision due to the design of the head, The ergonomic design also allows for enhanced interproximal and subgingival polishing.It also seems as though the PerfectPearl has alot less spatter as one experiences with other brands. From start to finish, it has the same exact torque.